Is this clever invention the way to get kids to help with the laundry? It is but it’s also practical for many other reasons. 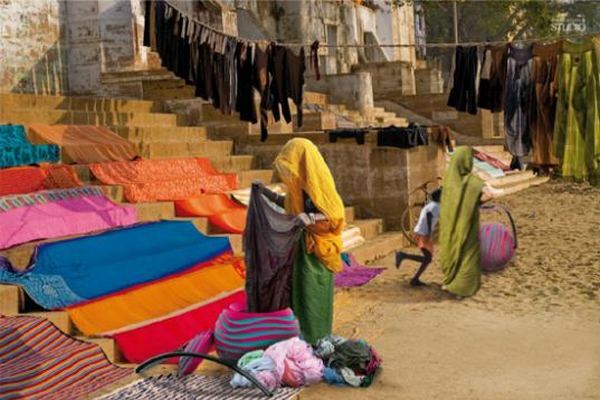 In many developing countries, doing the laundry can be an all-day affair – distant and limited water supplies, having to transport laundry to and from the water source, washing items piece by piece and the burden of carrying loads of washing, particularly when it’s wet, make for a strenuous and time-consuming task. Swirl is a new concept for a non-electric washing machine by the German-based Designaffairs Studio, designed to help alleviate some of the burden of laundry. 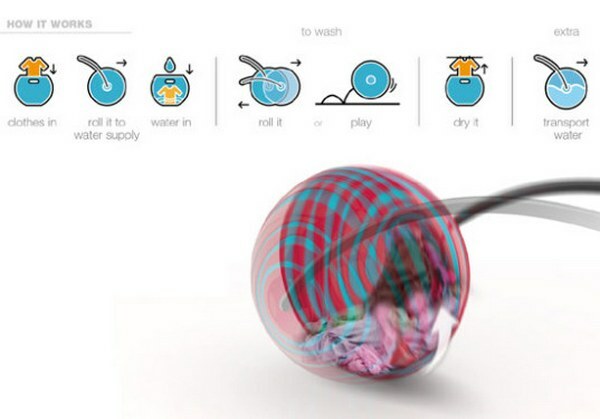 Swirl combines a washing machine, water barrel and toy. Load the laundry and some water into the Swirl barrel, lock the lid and start your game. 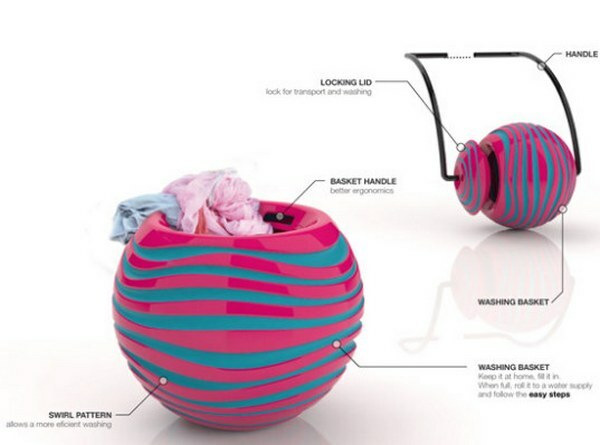 The rolling rotates the inner wash basket inside, which washes and scrubs the clothes. 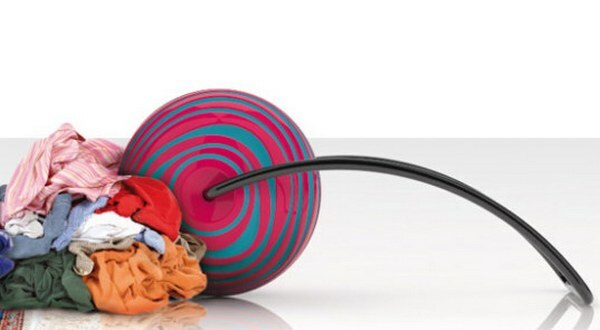 Alternatively, if no one is up for a game, the handle can be attached to Swirl and by pushing it along, the clothes tumble wash (and are transported at the same time). Swirl is similar to the successful Hippo Water Roller Project which started in Africa in 1991 as a means of transporting water. Both are incredibly inventive solutions to big problems. 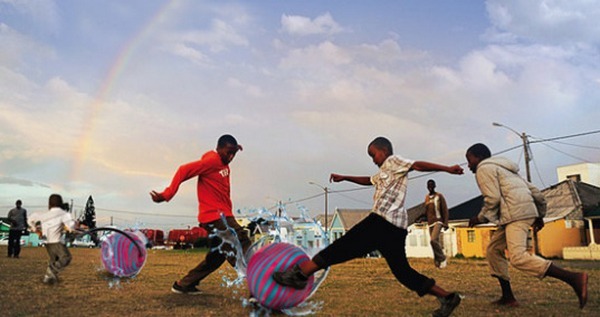 Both designs also make ‘work’ somewhat more fun – I’m sure kids would be fighting for a turn to kick Swirl around or push a Hippo Water Roller.